Study anywhere, anytime. Download the Study Blue app and make flashcards that you can access with your iPod Touch, iPhone, or iPad. Check out Study Blue here. This app for the iPad, iPhone, and iPod Touch has a little bit of everything. 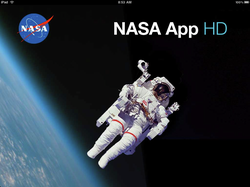 Information about the solar system, videos, news, and even tweets from astronauts in space! It's a free app from the App Store...so give it a try. 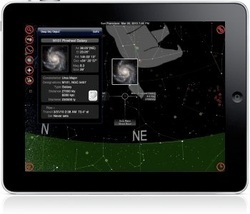 There is a free version of GoSkyWatch for the iPad. Download it from the App Store, and go do a little star gazing! Simple to use...just open the app and point your iPad up at the evening sky to locate and learn all about the stars and constellations.